“I am naive, that is why I get hurt so much.” I do not know about anyone else, but I have heard that a lot. One of the biggest arguments against being innocent is that it not safe. People tend to accept the belief that innocence and naivety equate with vulnerability as true, without even questioning this. Is this really true though? 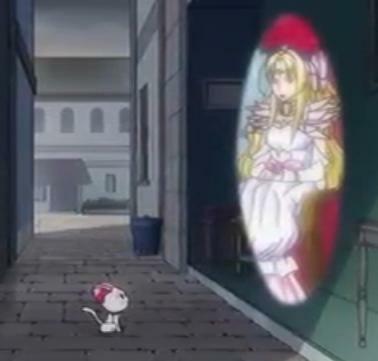 Suite Precure has an answer to this question. That answer is: No! It is not true at all. In fact, it is the opposite that is true. It is cynicism, not innocence, which leaves a person vulnerable! 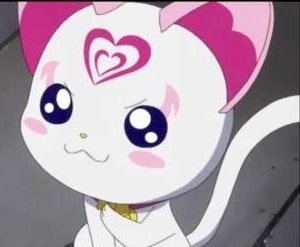 In Suite Precure, the fairy that helps the girls out is Hummy. She is a sweet little cat and songstress. She is also quite innocent and naive. On the side of evil is another cat and songstress, Seiren. We find out in the series that Seiren used to be good, and her and Hummy used to be good friends. Seiren was smart and quite cynical. 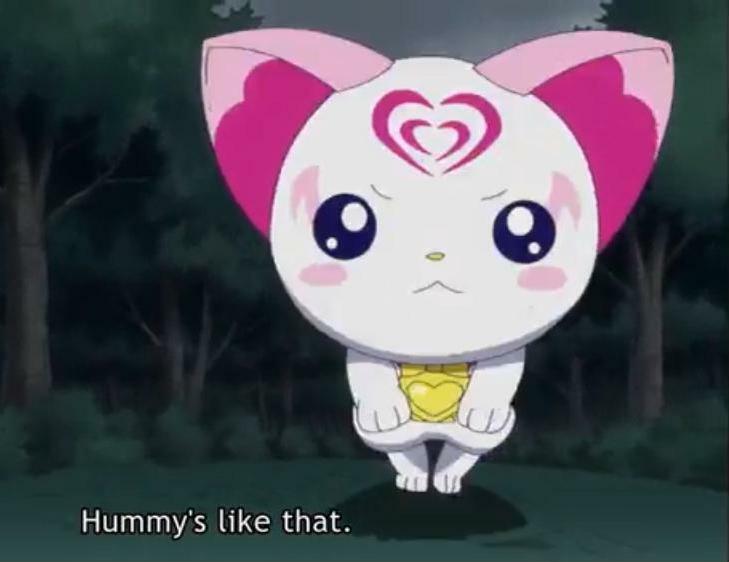 In the first episode, Seiren calls Hummy an “airhead,” and Hummy told her, “thank you.” Seiren’s reply was that this was NOT a compliment. Hummy never stops believing in their friendship though. 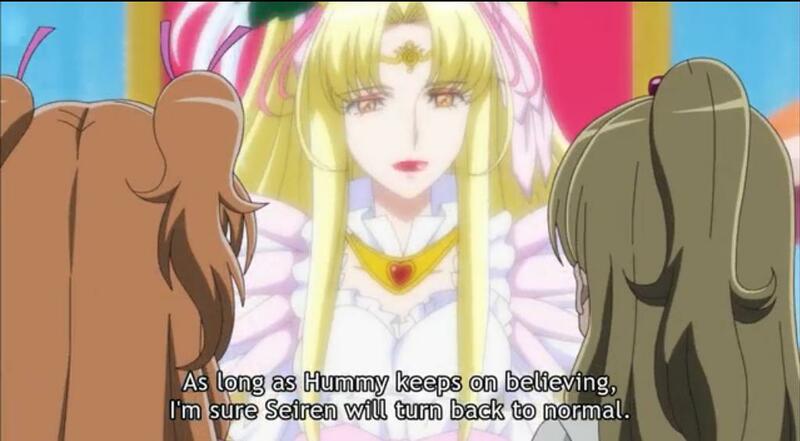 She believes in it so much that she ends up handing over a big victory to the side of evil, when Seiren tricks her into believing that she turned good, when she had not. This was not the end of the story, though. With the approval of Queen Aphrodite, the Queen of the good land, Major Land, Hummy keeps believing in her friendship with Seiren anyways! 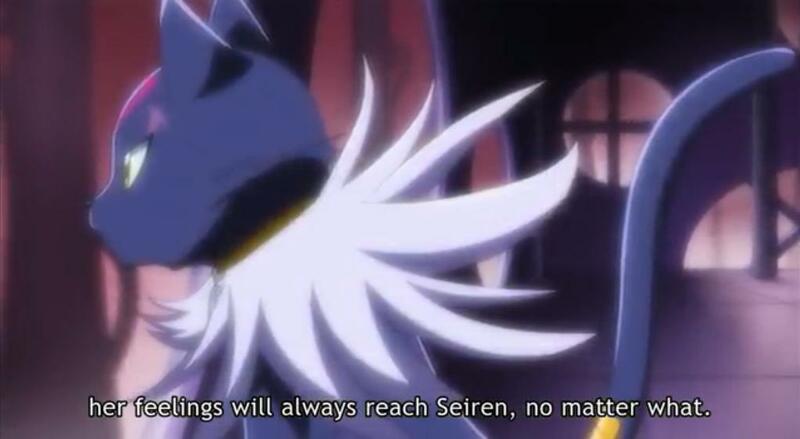 She does not give up on it, even when Seiren is about to sing the Melody of Sorrow for the side of evil. See, this is a lie, though, and even the evil people know this. Earlier in the episode, King Mephisto was told, “This friendship that Hummy believes in is really quite dangerous.” Dangerous to evil, that is! 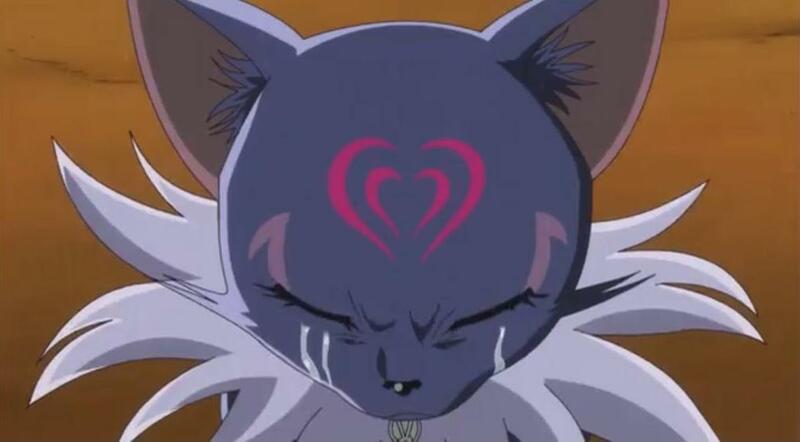 As it turned out, Hummy’s love and friendship really did get through to Seiren. 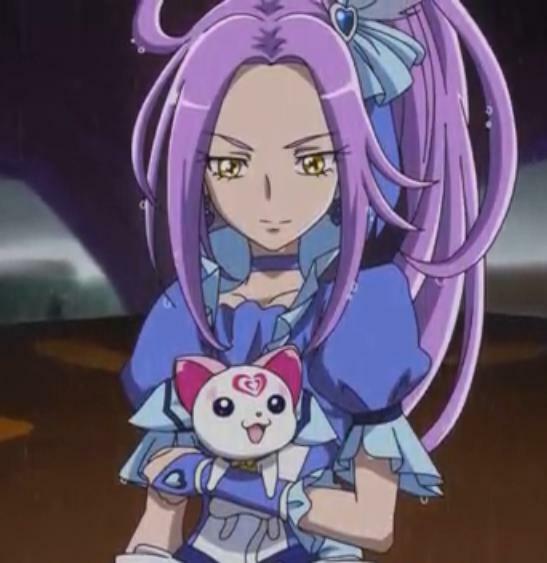 She not only turned good, but she became a PRECURE! She became Cure Beat! So, which is REALLY the safer course, cynicism or innocence?